There Is No Such Thing As "Boy Colors" or "Girl Colors"
Where did “boy colors” and “girl colors” come from? Our focus on the color of children’s clothing is so ingrained that it may seem like a law of nature. Even Heather admits that it can be really hard to defy gender norms, even when you’re aware that the bias exists and disagree with it. Once, she steered her son away from a bright puffy pink coat that he had picked out because she was worried that he’d get ridiculed. Instead, they left the store with a plain old blue and gray coat. “I still feel slightly guilty about it,” she says about the incident, which happened three years ago. In fact, the norm that tells us what colors boys and girls should wear is only about a hundred years old. Back then boys wore pink, whereas girls were supposed to wear what was considered the more “delicate” color, blue. For centuries, up until World War I, children wore white, dainty dresses until they turned six. This was regardless of their gender, according to Jo B. Paoletti, a historian at the University of Maryland and author of Pink and Blue: Telling the Girls From the Boys in America. At that age they typically also had their first haircut. 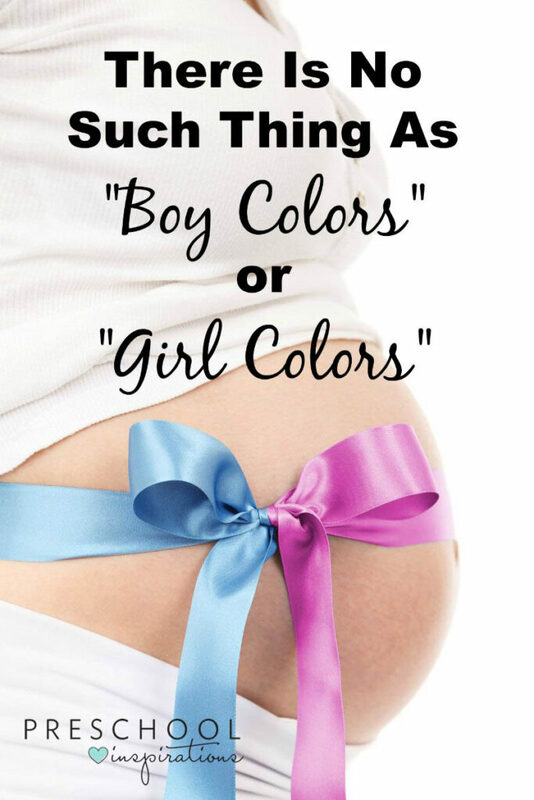 Paoletti mainly attributes the current trend of assigning gender-specific colors to everything from diapers and clothing to toys and strollers to two things: the advent of prenatal testing, which enabled parents to find out the gender of their unborn baby ahead of time, and the commercialization of childhood. All parents may not appreciate gender-coded marketing, but the reality is that it’s very profitable for the companies that produce the merchandise. Even children, who typically don’t become conscious of their own gender until age 3 or 4, “are the subjects of sophisticated and pervasive advertising that tends to reinforce social conventions,” according to Paoletti. Worrying about what colors boys and girls wear may seem like a classic first-world problem. Some may not even consider it an issue at all, considering that boys and girls ARE undeniably biologically different. 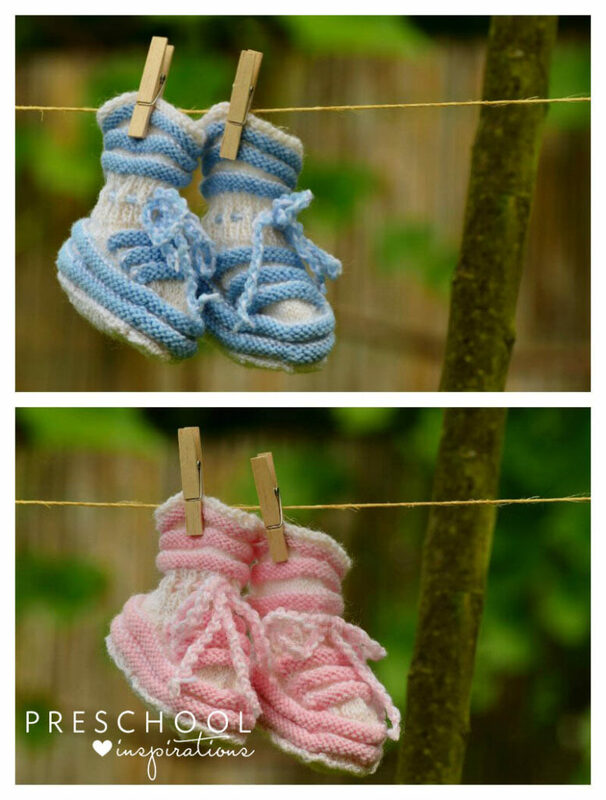 But children are not genetically predisposed to prefer pink or blue based on their gender; that’s a behavior that they’re cultured into. As a parent, that makes me question what other behaviors my daughters are learning as a result of adults’ expectations, solely based on their gender. His comment stuck with me, because it reminded me of the fact that even though we’ve made big strides in closing the gender gap in recent years, we have a long way to go. And it never was just about the blue and pink. If my girls are not expected to wear certain colors or play a certain way today, just because they’re girls, what else will society expect from them tomorrow? That they won’t be interested in technology or capable of fixing a flat tire? That they won’t have what it takes to become leaders in their community or run a Fortune 500 company? The bias naturally goes both ways, limiting boys to their prescribed roles as well. Heather’s son Sam didn’t choose the pink soccer cleats that day. But if we can all stop placing children in boxes based on their gender, maybe the next generation of boys will. And their moms won’t have to worry that they’ll be ridiculed. Linda McGurk is a journalist and author of "There Is No Such Thing As Bad Weather," a parenting memoir due to be published in the fall of 2017. She believes that the best childhood memories are created outside, while jumping in puddles, digging in dirt, catching bugs and climbing trees. She blogs about connecting between children and nature at Rain or Shine Mamma, and hopes to inspire other parents to get outside with their children every day, regardless of the weather.Connect with her on Facebook, Pinterest, Instagram and Twitter.